Liverpool schools serve over a million meals a year in 41 schools, so when they decided to embrace Meat Free Mondays in 2011, it had a huge impact (Meat Free Monday is a campaign to get people around the world to go meat-free one day a week). Since then, the city, working with the not-for-profit meal provider Food for Thought, has increased its commitment with two (sometimes three!) meat-free days each week. And the ingredients they do use are more sustainable: 50% is locally-sourced, and 30% organic. Now that this has been so successful in schools, why not expand it to other public institutions, like hospitals and government buildings? Our supporters are challenging cities to race to the top on meat reduction to protect our climate, forests, and water. We aim to have at least 50 cities commit to serving two vegetarian meals (no meat or dairy options) in all public canteens weekly by the end of 2019. We expect to have at least 100 global cities make this or a greater commitment toward less and better meat and more plant-rich meals by 2020. Are you ready to pressure cities, schools, universities and other public institutions to get serious about meat reduction? Sign up below to get a toolkit that will give you step-by-step instructions on how to get started in your local community. 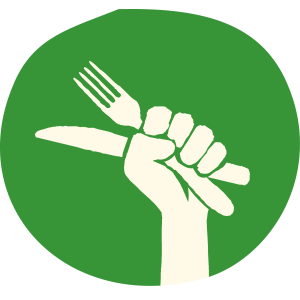 If you sign up for the toolkit now, you’ll also get free veggie tips and recipes. And, if your city or institution is already embracing more plant-based meals, we’ll give you access to our nomination form so we can add them to our world map of leading cities.